Amazon is one of the biggest and the best known online shopping web sites in the world. There isn’t a separate Amazon.ie website for Ireland – but Irish residents can still buy most things online at Amazon UK. In 2019 – with the drop in the value of the Pound against the Euro – the prices on Amazon are a lot cheaper for Irish shoppers than they were a year ago. Tip – when paying on Amazon you will get the best price by paying in Sterling . Tip 2 – Open an account with N26 online bank and get their Visa Debit card which has no fees or charges on purchases in Pounds or any other non Euro currency. Amazon UK will deliver almost all items to Ireland – ie : Kindles ,electronics ,video games , toys, cameras, consoles, tools, clothes , shoes , books , smaller televisions, cameras. They even deliver things like pet food, washing powder, nappies , and some grocery products. Amazon accepts Visa and Mastercard debit or credit vards. They don’t take Paypal. All orders for more than £25 on Amazon qualify for free delivery to Ireland (as long as the goods are sold by Amazon). To get this free “super saver” delivery to Ireland you just have to select it at checkout – Ie. it is not automatic. 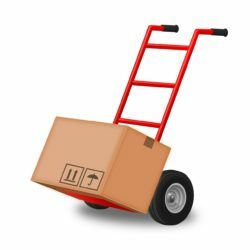 Super Saver Delivery takes maybe 1 or sometimes 2 days longer than the standard delivery – but in my experience it always arrives within 5 days if all the items are in stock. If you want Amazon’s 2 day delivery to Ireland it will cost you £14.98 for one DVD or CD and an additional £1.99 for each extra CD/DVD. You may as well wait for the free delivery – it will only be a couple of days longer. Since July 2018 – Amazon Prime members in Ireland can now also get FREE priority 2 day delivery to Ireland on all orders (of eligible items) . Not all items sold on Amazon are eligible for Prime – but there are plenty that are. You can get a free 30 Day Trial of Amazon Prime here . Third Level students in Ireland and the UK can get a 6 months FREE trial of Amazon Prime. You can sign up on the Student Amazon Prime sign up page – at first glance it might loos like it is just for students at UK universities – but the free trial is definitely available to students who are studying in the Republic of Ireland . Free delivery from Amazon UK is also available to all the following European countries on orders over £25: Belgium, Denmark, Luxembourg, Netherlands, Finland, Gibraltar, Iceland, Portugal, Sweden, and Poland. So if you have any friends or relatives in these countries you can send them gifts with no postage charges. Important Note : Amazon allows other sellers to sell items on the Amazon website – but many of these “marketplace” sellers don’t deliver to Ireland. To be sure of getting products delivered to Ireland with free delivery check that the seller is Amazon.co.uk . You can select the seller as one of the search options on the left hand side of the screen. Amazon have a data centre in Dublin and a call centre in Cork – and they employ about 700 people in Ireland. Amazon UK started selling online in 1998 and at first they had many restrictions on what they would deliver to Ireland. Most of those restrictions were removed in April 2009 and now almost all items can be shipped here.